Welcome to The Dog Barn! 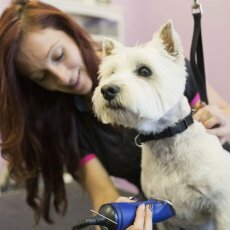 We aim to be your one stop shop for everything your dog may need in Merseyside and we’re one of the most popular destinations for dog grooming in the North West. 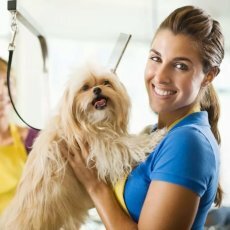 Whether it’s a good pampering session, training classes, food and treats or a safe place to exercise your dog, we have it all here in one place! We’ve worked hard to make The Dog Barn a unique and exciting environment for both you and your dog which is why we’re constantly expanding what we stock and what we do. With a small team of dedicated staff we’re here to help with all your doggy needs, from training trouble to finding the right food, we’re always happy to help. We don’t sell anything we wouldn’t give our own dogs so if it’s first hand advice you’re after then you’re in the ideal place! With our unique selection of home baked treats freshly made on site, spacious grooming parlour and lovely enclosed field used for training or available to hire we aim to be a bit different from your regular pet shop. We aim to make The Dog Barn a warm and inviting place that you and your dog will love to visit! Here at The Dog Barn, we aim to make being groomed a calming and enjoyable experience for you and your dog and have one of the finest parlours for dog grooming in Merseyside. We work our hardest to make the grooming department an open, inviting environment that your dog will enjoy visiting and spending time in, being pampered and made to look even more beautiful than they did when they arrived! 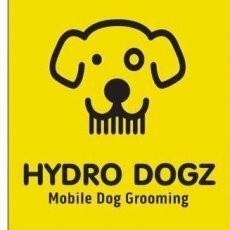 To book any grooming appointments or for more information regarding the services we provide, just call the shop and we’ll be happy to help with any questions you may have and to book your dog in for a pampering session! We are open 7 days a week and offer late night appointments on Wednesdays. 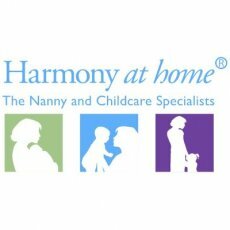 During busy periods the diary does fill up fast so call ahead to avoid disappointment! A full groom is just that, verythingine session. A bath, dry, nail trim and styled to your preference whether that's to breed standard or to your own requirements. After years showing terriers we have lots of experience in hand stripping. This method is common in the Terrier and Gundog breeds and maintains the colour and texture of the coat ny removing coat from the root leaving room for new hair to grow through rather than clipping or cutting which just shortens the length of the coat. We do not usually bath hand strip areas straight after hand stripping as this technique leaves open pores once the hair has been removed. Bathing afterwards can sometimes cause an infection in the hair follicle. We'll give your dog a good scrub is professional soothing shampoo and do our best to make sure even the most nervous dogs have a calm, relaxing experience and come out looking, feeling and smelling fresher than ever. 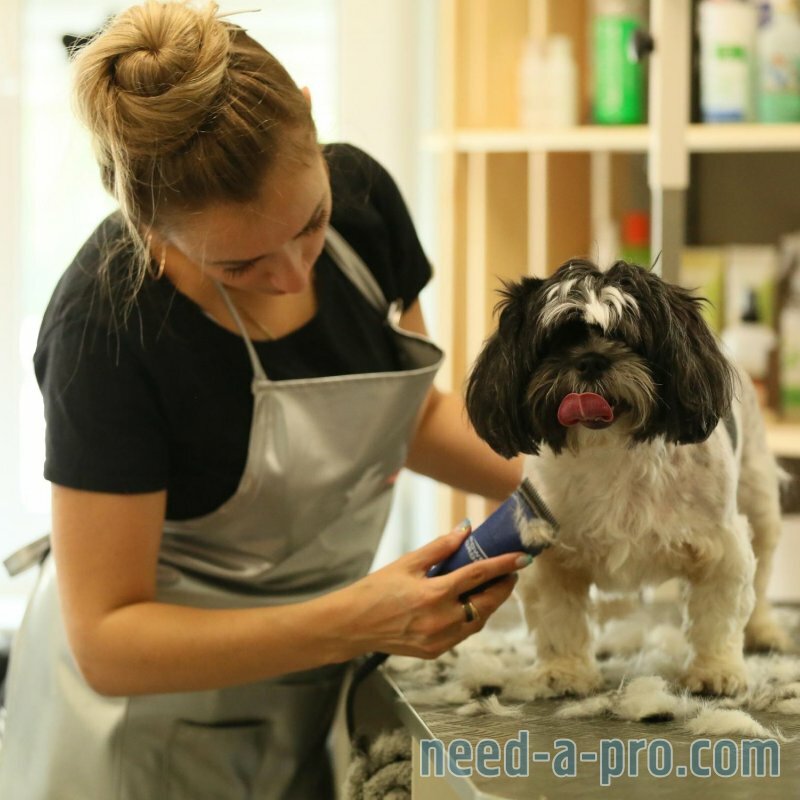 There's no appointment needed for a nail trim, just call in during our grooming times although there may be a short wait if the groomers are a little busy. This course allows you to bring your own dog or work on our model dogs and learn how to fully and correctly groom them to your chosen style. You will work with an experienced stylist who willinstuct and guide you every step of the way, give you lots of helpful tips throughout the day and answer all of your questions. 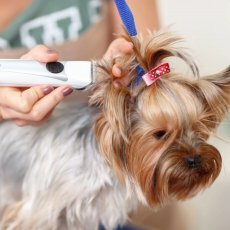 We provide model dogs to practice various techniques along with tips on your dogs skin and coat maintenance for in between grooms. This gives people the opportunity to gain experience in a busy salon environment handling dogs, customer service, booking systems etc. The experience day is suitable for anyone over 16 with an interest in dog grooming. No previous experience is necessary. Puppy Pre-School 8 week course incorporating The Kennel Club Good Citizen Dog Scheme Puppy Foundation Assessment. Perfect for young puppies and first time puppy owners, Puppy Pre-School aims to offer help and advice for all your puppy needs and teach you all about puppy training! From food and treats to house training and sleeping through the night. Puppy Pre-School is aimed at puppies aged 5 months and under and offers the opportunity for off lead play and socialisation with other pups on our exercise field under the supervision of our trainer. The price is £65 for the 8 week course. Please remember, to join in training classes you must bring your up to date membership card to each class or your dogs up to date vaccination record to when registering. Taking place on our own private enclosed field, we aim to provide obedience and socialisation training in a realistic park setting. There are a number of classes available which are suitable for dogs of varying ages and abilities. Classes for younger dogs and dogs with no training experiences run on Mondays at 6.30pm, Thursdays at 1pm and Saturdays 11am. Please remember, to join in training classes you must bring your up to date membership card to each class or your dogs up to date vaccination record to when registering. This class is perfect for pups that have already started to learn the basics, such as sit, down and the beginnings of lead walking. It is also suitable for puppies that have completed our puppy pre-school courses. Not only do we work on expanding and improving obedience skills we also work on confidence and control exercises, such as getting pups used to different surfaces and listening in different environments. This class is only suitable for dogs under 12 months old. Please remember, to join in training classes you must bring your up to date membership card to each class or your dogs up to date vaccination record when registering. The next step up from the beginners class. This will help reinforce what you and your dog have already achieved whilst introducing more challenging activites such as distance commands and recall. Please remember, to join in training classes you must bring your up to date membership card to each class or your dogs up to date vaccination record to when registering. This class focuses on obedience commands in greater depth, allowing you and your dog to work as a team. Ideal for those looking to start competition level obedience. Please remember, to join in training classes you must bring your up to date membership card to each class or your dogs up to date vaccination record to when registering. Rally Obedience is a new and fun dog sport, which involves you and your dog working together as a team to complete a course of exercises displayed on signs. There are many exercises, which are divided into levels 1-6. These exercises include heel work, jumping, recall and control exercises. Rally Obedience is an excellent way to bond with your dog using positive training techniques. Working together to learn fun new skills, will also help you to have a well behaved dog. Rally Obedience is suitable for dogs of all ages and breeds. No experience is needed however, basic training would be beneficial. Please remember, to join in training classes you must bring your up to date membership card to each class or your dogs up to date vaccination record to when registering. 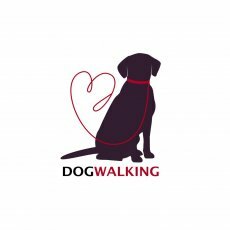 The UK’s largest training programme promoting socially acceptable dogs and creating responsible owners. The Dog Barn is proud to have gained Kennel Club listed status and promote the values of the Good Citizen Dog Scheme through our training classes and assessments. These classes and awards are available to all dogs of any age whether they are Kennel Club registered or not. There are three levels to achieve which must be completed in the order Bronze, Silver and then Gold. We offer training for the Bronze and Silver Awards in pay as you go classes followed by an assessment by an independent examiner appointed by The Kennel Club when you have reached the required standard. This class is on Saturdays at 2pm and it will usually take between 8 and 10 sessionsto reach the level where you would be ready for assessment. These classes are £15 to register which includes your first class and assesment and then £8 per class. After completing the Silver Award we can offer classes in smaller groups to work towards the Gold Award. Please remember, to join in training classes you must bring your up to date membership card to each class or your dogs up to date vaccination record to when registering. Agility training has a range of benefits for both you and your dog including helping improve your control of your dog, mental and physical stimulation for your dog and strengthen the relationship and team work between you and your dog. Open to dogs over 12 months old, no prior experience of agility training or equipment is required for either class though some basic obedience training is beneficial! Dogs need to be fully mature before starting agility training but everyone is welcome to come along and give it a try! Fun agility for beginners runs on Saturday afternoons at 2pm with a class for more experienced dogs at 3pm. Similar to the Obedience and Socialisation classes, these classes are pay as you go at £5 per class with a £15 registration fee for non-members the first time you attend. Please remember, to join in training classes you must bring your up to date membership card to each class or your dogs up to date vaccination record to when registering. General training on specific problems such as recall, manners, lead pulling or energy management. Help focus dogs who are easily distracted. A consistent and reliable recall. 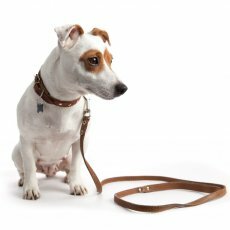 Increasing the difficulty of work for dogs who have a basic understanding of obedience to build to a more advanced level. Improve confidence for nervous owners. 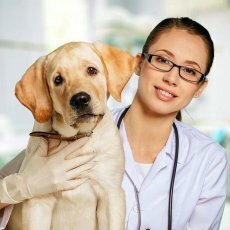 Help with dogs and owners who need a little more time and tuition than a group class can offer. If you are unsure where to begin, we hold free drop in sessions every Monday between 5pm and 7pm where you can call in without the need for an appointment and have a chat with one of our instructors. 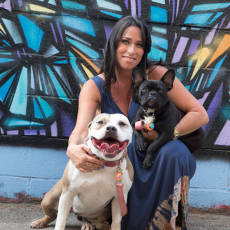 These sessions are helpful if you are new to dog ownership and are not sure where to begin, if you have specific issues that you would like to address that may not be covered in general training classes or if you are an experienced owner and would like to progress to a higher level. Also, if you have questions regarding problems around the home, in the park or anything else we will do our best to help and give as much advice as you need.